The Australian Made Campaign, the not-for-profit organisation that administers the famous Australian Made, Australian Grown logo, has celebrated the 100th meeting of its Board of Directors at Business SA. The milestone assembly was attended by senior members of the business community and was followed with a luncheon hosted by Australian Made patron Robert Gerard AO. Speaking at the luncheon, Mr Howard congratulated Board members on the success of the Australian Made Campaign since its establishment in 1999. “The Australian Made logo has become the most instantly recognised symbol of products made in Australia and sold globally. I congratulate the Australian Made Campaign and the team of Board members behind it on their continued success and assistance in promoting Australian products,” Mr Howard said. Australian Made Chairman, Glenn Cooper, said the organisation had accomplished a number of significant achievements with the guidance of the Board during its long-standing history managing the AMAG logo, which will be found on nearly all Australian food products sold domestically as of 1 July 2018. “The AMAG logo now provides more than 2700 business across 20,000 products with clear and consistent country-of-origin branding here and overseas; it has great prominence in key export markets that such as USA, China, Singapore and South Korea where it is now a registered trademark,” Mr Cooper concluded. 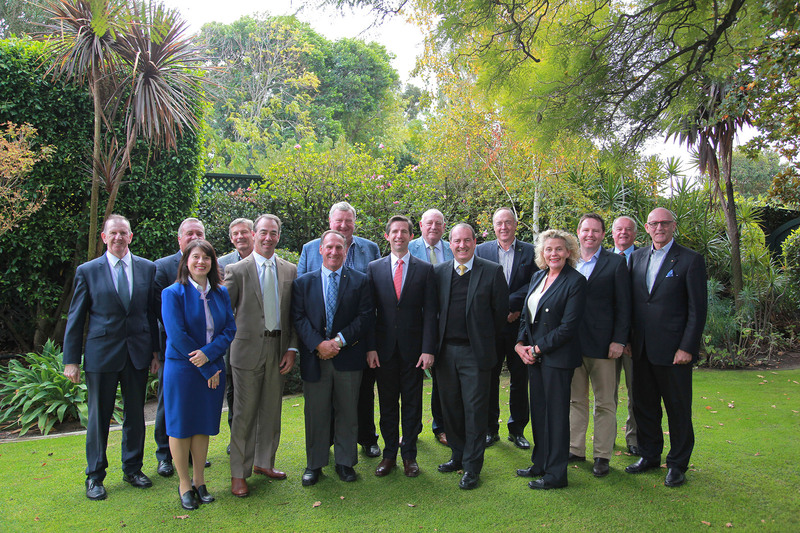 The Australian Made Campaign Board is currently comprised of Mr Glenn Cooper AM (Chairman), Mr Allyn Beard (Deputy Chairman), Mr Neil Summerson AM FCA (Treasurer), Ms Nicki Anderson, Ms Kate Carnell AO, Mr David Gray AM, Mr Richard Holyman, Mr Robert Hutchinson, Mr James Pearson and Ms Fiona Simson.